Kentuckynerd.com Physical media is still important in 2017. Physical media is still important in 2017. I’m not really talking about the AOL disc pictured. 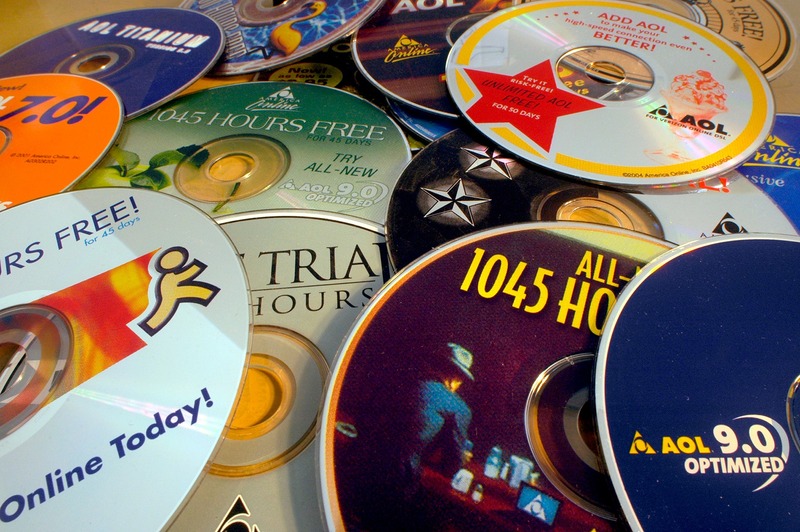 But… apparently, people do collect huge piles of AOL discs. I find that bizarre people collect many weird things, but are they really as useless as AOL discs? I’m sure there is plenty but I’m here to tell you that physical media is still very important today. Physical media is more secure. Now, you might think I’m crazy… but it’s almost easier to protect something valuable that is physical with a bunch of guns than relying on someone’s network security to protect your loved data. Giving that everything is connected these days hackers can find ways to enter your system without leaving a trace. I believe this is why the US nuclear force still uses floppy discs. Someone would have to physically take the floppy disc for it to get stolen, and then they would have to have outdated equipment to even read the files. Not everyone has high-speed internet, or really can afford it. I’ve discussed this with several people, but net neutrality is a scary thing with it coming along and people trying to hide prices or charge even more for connecting to google, whose to say I’ll even be able to afford it? Video games, movies, and music still take up a lot of data, what blu-ray’s hold up to 25 gigs a layer. How long does it take to download 25 gigs on a 15/1 connection? It takes a long time! It’s easier to just go out and purchase the disc to play and you’re not taking up hard drive space. I do believe that the internet is becoming a part of everyday life like water and electricity. It’s not there JUST yet but it is coming. You cannot even apply for a job unless you have access to a computer anymore, and well its just easier to get done that way. Physical media will still be around even after the servers go down. For the most part, anyways, the lifespan of certain discs and stuff last longer than when CDs first came around. Still, by the time that CD/DVD/BLURAY dies the servers that probably hosted your precious files you purchase in 2005 might not even exist anymore. What if today you lost all your iTunes music because apple ceased to exist. No servers to hold your information, or to even download from huh. Pretty scary if you ask me! Same as games, if steam goes out of business what happens to all my digital games? 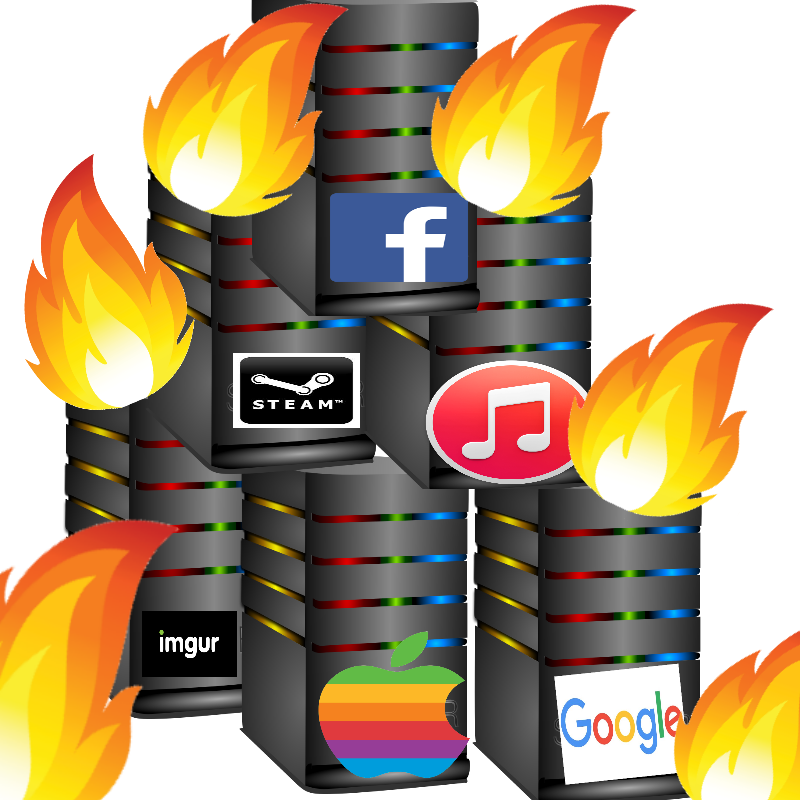 What if facebook servers all catch on fire and you lose all your precious pictures? Would’ve been nice to have them all on a disc huh!Luckily there are people on the internet working to preserve time almost daily. Luckily there are people on the internet working to preserve time almost daily and there are backups on backups on stuff. The reality that a business can go out of business and lose all your data is real. Many people have spoken of a digital dark age coming again, it is very possible.